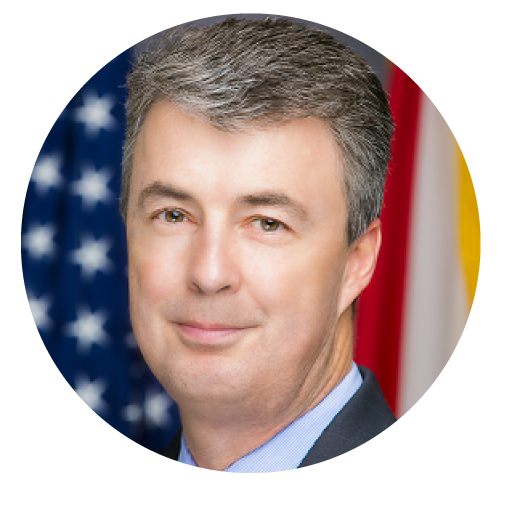 Steve Marshall became the 48th Attorney General of Alabama on February 10, 2017, and was elected to a full term on November 6, 2018. He is a native of Atmore, Alabama, and graduated with honors from the University of North Carolina at Chapel Hill (1987) and the University of Alabama School of Law (1990). After graduating from law school, he practiced with Maynard, Cooper, and Gale, P.C. He served Marshall County as District Attorney from 2001 to 2017. During his time as District Attorney, Marshall established a reputation for being tough on crime. He founded the Marshall County Major Crimes Unit, the Marshall County Computer Forensics Lab, and the Marshall County Crystal Meth Task Force. He was selected to serve on the Board of Directors for the National District Attorneys Association. He also served as chairman of the Alabama Criminal Justice Information System and as a member of the Alabama Sentencing Commission. As Attorney General, Marshall has embraced his role as the state’s chief law-enforcement officer and is using his platform to make Alabama a safer place to live. On January 24, 2018, Marshall launched his Initiative on Violent Crime—reinvigorating partnerships with federal, state, and local law-enforcement agencies to combat violent crime in Alabama. The mission, Marshall declared, is to “help cities reclaim their streets, restore the rule of law, and, ultimately, see their communities revived.” To date, the Initiative has resulted in the arrests of nearly 300 violent offenders. He also successfully advocated for the passage of the Fair Justice Act—a significant pro-victims law that streamlines the appeals process for death-row inmates. In his short time in office, Attorney General Marshall has established himself as a national leader on a variety of policy matters, including the opioid crisis. Marshall has served as a cochairman of the Alabama Opioid Overdose and Addiction Council, whose work has been lauded as a “best practice” for states. He has lent his expertise on the issue to addiction-prevention and recovery advocates and law-enforcement groups throughout the state and country. Marshall has also been recognized for his work on matters related to illegal immigration. He was invited to speak at the White House on the challenges currently facing Immigrations and Customs Enforcement (ICE) and Customs and Border Protection (CBP). He also testified before Congress about how the counting of illegal immigrants in the U.S. Census will negatively affect Alabama’s representation in Congress and in the electoral college. In November 2018, Marshall was elected to the Executive Committee of the Republican Attorneys General Association.